Looking back at 2017, one thing is for sure: tackling the world’s eco-issues is going to take a lot more cooperation and understanding then we’ve seen thus far. Fortunately, our Catholic faith is all about universality. Not surprisingly, then, the top ten Catholic eco-stories follow a few common themes. First: the teachings of our bishops—most especially the Bishop of Rome and his predecessors—have inspired eco-activity in parishes, religious orders, Catholic institutions, and the laity. Second: there has been a marked focus on the practical, such as the technical details of installing renewable energy, of lowering our consumption of just about everything, and of investing ethically. Lastly, the great theme of 2016 continued and, sadly, deepened in 2017: the ongoing divide between political and ideological extremes. More on all that below. But first, a brief programming note. As many have noted in your emails, my postings have been less frequent this year, especially these last few months. My apologies. 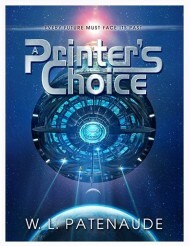 The reason, some of you know, has been the demands in completing of my forthcoming novel, A Printer’s Choice—a science fiction mystery that gets to the heart of so many of our current age’s eco issues. The book is slated for a March release, or maybe sooner. Stay tuned for much more on that. From Africa to South America to the Philippines, nations most often impacted by foreign resource extraction and internal governing lapses have seen a groundswell of activism and engagement by the Catholic Church—her clergy, religious, and her laity. A special shout-out goes to Catholic Youth Network for Environmental Sustainability in Africa (CYNESA). Founded in January 2012, the group has grown in numbers, faith, and influence. This year, its annual summit, held at the Passionist Retreat Centre in Nairobi, Kenya, offered a powerful, multi-day gathering for representatives of the continent’s youth (and those not so young). The event highlighted a host of projects underway and planned, all founded on the teachings of the Church. Check out a closing summary by our friend and CYNESA executive director Allen Ottaro, which features news on the closing address by Apostolic Nuncio to Kenya and South Sudan, Archbishop Charles Balvo. In Central and South America, Catholics from Ecuador to Chile to Costa Rica have been on fire locally, regionally, and globally. In November, the Catholic University of Costa Rica, in collaboration with the Ratzinger Foundation, sponsored an international symposium on Laudato Si’—an event that highlighted many of the eco-issues and achievements in Latin America. It may not have received a great deal of attention, but the symposium was a galvanizing moment in the life of the Church—even if much of its momentum has been behind-the-scenes. And, as always, the Philippines continues to lead the way in showing Catholics the world over how to engage the environmental crises of our age, such as concern for indigenous peoples. Much of the eco-activity in the global South (especially the Philippines) dwarfed universal activity in observing the ecumenical Season of Creation—a period from September 1st (the Eastern Orthodox World Day of Prayer for Creation) and October 4th (the Feast of Saint Francis). 2017 saw an unprecedented array of Catholic global activity during the Season of Creation—from small prayer services to large marches to special liturgies. With planning already underway for much more in 2018, you can be sure this story will make it again to this annual list. Helping organize the Roman Catholic involvement in the Season of Creation was the Global Catholic Climate Movement, a group that I had the honor of helping found a few years back, and that has since grown tremendously (and is now being shepherded by dozens of staff and volunteers around the world). The GCCM has been active in many high-profile Catholic eco-activities this year—from divesting in fossil fuels to educational activities, and most especially to coordinating and nurturing global “animators,” who make big differences in their local churches and communities. From activism to prayer, the GCCM continues to work on multiple fronts to bring Laudato Si' and the realities of climate change to pulpits, pews, and classrooms around the world. The group has especially been eager to spread the word about the Laudato Si’ Pledge. All in all, the GCCM’s momentum is making a big difference, and by all counts will continue to do so in 2018. I mentioned the GCCM’s efforts in supporting Catholic eco-efforts centered on responsible investments, most especially the divestment from the fossil fuel industry. 2017 saw big news on that front in May when nine Catholic institutions announced their break with fossil fuel investments—an announcement timed for the G7 summit later that month. Later in the year, the GCCM and Trocaire, the official development agency of the Irish Catholic Church, joined forces to help Catholic institutions make better decisions about investments, and about divesting from fossil fuels. To do so, the groups developed a first-of-its-kind toolkit titled “Ethical Investments in an Era of Climate Change.” The document is meant to help church leaders, financial officers, and other decision-makers assess their investment decisions in the light of Catholic Social Teaching. Given the number of natural disasters and humanitarian crises this year, it’s no wonder that a good many Catholic charitable organizations are struggling to keep up. But keeping up is exactly what they're doing—thanks to the international network that is the one, holy, catholic, and apostolic church, and its thousands of front-line volunteers. From international Catholic charities to diocesan efforts, to the Knights of Columbus and groups from the Saint Vincent de Paul Society, help in the form of direct monetary aid, medical care, temporary housing, counseling, and, of course, spiritual support has been nothing less than inspiring. And given the likelihood of climate-related increases in natural disasters—floods, storms, droughts, wildfires, and more—Catholics will have to rely ever anew on the grace of God and each other to help our neighbors in need. The big factor in what's been noted above and what follows continues to be our Holy Father, who, like his predecessors, has made ecology a prominent issue in Catholic Social Teaching. In 2017 his words have become resolute—at times even more so than his 2015 encyclical Laudato Si’, in part because the issues at hand continue to grow, and because little meaningful action seems to be taking place in some corners of the globe. One of the pontiff’s major eco-statements this year was an unprecedented joint declaration with the Ecumenical Patriarch Bartholomew, issued for the September 1st World Day of Prayer for Creation. That statement, and other and ongoing urgings of the Holy Father, continue to inspire Catholics to expand their eco-advocacy. Following the lead of Pope Francis, Rome has continued its examination of eco-crises with a series of conferences held at the Pontifical Academy of Sciences. From clean water to climate change, the Academy has focused on key environmental issues and the social implications thereof. 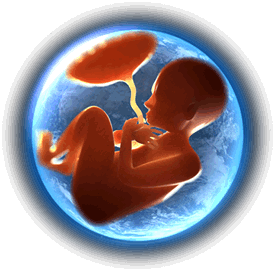 The events are part science and part evangelization, and they have not been without their share of controversy—most notably with the invitation of high-profile pro-abortion advocates and politicians, like California’s governor, Jerry Brown. One wonders if the invitation of some of these attendees is helping. Be that as it may, the work being done by the Pontifical Academy of Sciences is meant to build bridges across academic and ideological divides. Let us pray for the successes, then, of those efforts. Similarly, helping the faithful and the world understand the importance of all this, Vatican news agencies continue to highlight worldwide eco-issues and natural disasters in an effort to bring attention to humanity’s impacts on the great garden given to us by God. The eco-advocacy world here in the States and around the world remains in shock over the anti-ecology actions of President Trump and his administration, most especially his chief environmental agency head, Scott Pruitt. From pulling the USA out of the Paris Climate Accord to encouraging fossil fuel extraction, the Trump administration has undone a great deal of work these past decades to protect creation and address climate change. Fortunately, the United States has the Catholic Climate Covenant, which has stepped up to the challenge. But the Covenant, which works closely with the US bishops, needs your support to continue to do its job. Check out the Covenant’s website for much more about what they have done, continue to offer, and plan to do in this coming and critical year—and how you can help. Last month I interviewed Dr. Robert Whaples, a Catholic economist, writer, and researcher, who has edited and contributed to the new book Pope Francis and the Caring Society. The book allows conservative voices to express their views about how best to save the world. Contributors (including high-profile commentators like Samuel Gregg, Philip Booth, and Robert Murphy) both support Pope Francis and many of his views, but also critique many of his economic ideas. The book provides support for the value of the market economy and private property in ecological protection—two realities that are abhorred by many eco-advocates (who tend to be left-leaning, or very much so). Whether or not you like what the contributors are saying, we should all applaud their entry into the very dialogue that Pope Francis has asked for. Indeed, this book, and the conference that inspired it, are hopeful first steps in this dialogue. Such efforts are, after all, signs of stirrings within the conservative world that we Catholic ecologists should encourage, listen to, and even learn from in 2018. On that note, there you have it. As always, there’s much more that could be mentioned—and much, I am sure, of which I am unaware. So . . . feel free to comment or email me with your thoughts. And let us continue onward and upward, together, and with charity, to protect and nurture God’s great, life-giving creation, and in the process give support and aid to all our brothers and sisters—even the ones we don’t think we agree with.